Low, fixed electricity rate the rest of the week! 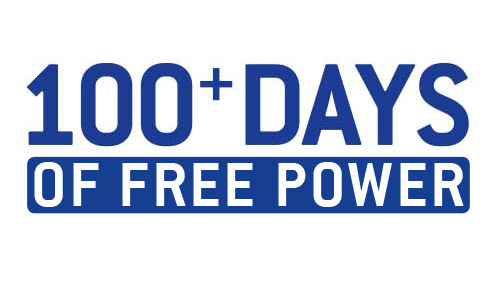 Get over 100 days of free electricity for 12 months with CPL Retail Energy*. You'll also get a low, fixed electricity rate the rest of the week. We've been proud to serve Corpus Christi, Victoria, Laredo and surrounding South Texas communities with great electricity rates for years. See the difference with CPL's four-star customer service rating. Whether by phone, email, or social media, we're here to help you when you need us, for any questions or concerns. Tell your friends and neighbors about your favorite electric company in Texas! Receive a $25 bill credit for every friend your refer that becomes a qualifying CPL Retail Energy customer. Plus, your friend also receives a $25 bill credit. Save the trees! Go green and sign up for paperless billing to conveniently view all of your current and past bills online and on the go, from anywhere. The earth thanks you! Give us a call at 1-866-966-2090. ** Four-star rating based on Public Utility Commission rating for customer complaints received in the past six months.